Zeal International Proudly made its launch for LABTEST Brand Fully Automatic Compression Testing Machine fully automated with touch screen controller with 10000 points memory. 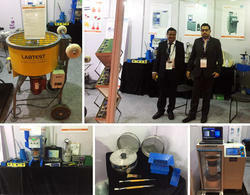 It also launched Plastic Cube Moulds in India For the First time in Indian Construction Industry. We are proud to present a new design Pan Mixer Design Patent under ZEAL It is a laboratory Pan Mixer designed and function like a Batching Plant with trap door, portable to carry and easy cleaning blades with shifters to move vertically and horizontally.The mixer is working on 230 V Ac on lower electrical load than the conventional Pan Shape Drum Mixer and can mix better trial batches and pour them out from the trap door below while operation is On. This process saves time and also gives a better Slump Values than the previous conventional method. 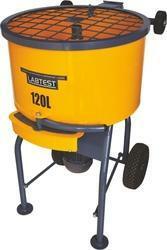 We will be displaying our state of the art LABTEST Brand Automatic 2000KN Compression Testing Machine, Our new range of Labomix Concrete Pan Mixer. 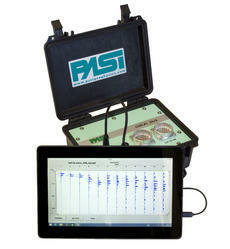 Our wide range of NDT products like Ultrasonic Pulse Velocity Meter and Digital Concrete Test hammer will also be on display. NCB Seminar on Durability and Service Life Design of Concrete Structure. We cardinally invite you all to please make your presence at the open gates for the world of concrete show 2017 at pragati maiden from 10th august - 12th august from 10:00 am to 05:30 pm. 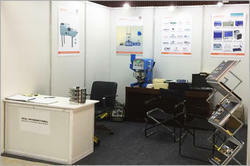 We are at booth number 903. We are show casing our state of the art. fully automatic compression testing machine , design patent laboratory pan mixer , our new and first time in India plastic and polyurethane plastic and polyurethane concrete moulds under make in India campaign.